Or the story of a genius mould-maker. When asked to recreate Po as a 3D master, it was up to master pattern makers to show their genius and reinterpret a 2dimensional celluloid superhero character into an inflatable Kung Fu master. 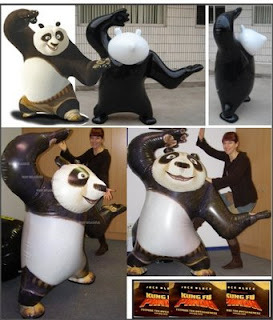 Meet the Inflatable Kung Fu panda and the picture-history of his making.